Simplified management and improved performance offers customers a more flexible, secure and optimised platform for everyday and complex workloads. Dell EMC has announced several advancements to Dell EMC PowerEdge servers, the world’s top selling server portfolio, offering improved management, security, performance and scalability for customers’ every day and most demanding workloads. These advancements to PowerEdge servers and OpenManage systems management further enable a secure, scalable compute platform as the ideal foundation for cloud, analytics and software-defined data centre initiatives. “As organisations rapidly keep pace with growing sets of information and data, they’re also adopting more advanced applications to generate greater insights with Digital Transformation efforts,” said Ashley Gorakhpurwalla, president, Server and Infrastructure Systems, Dell EMC. According to IDC’s latest research, Dell EMC continued to be No. 1 in both x86 server revenue and units shipped globally in an industry that saw its greatest demand ever during 2018. The analyst firm’s research found worldwide server vendor revenues increased 12.6 % year-over-year to $23.6 billion, during the fourth quarter of 2018, marking the fifth consecutive quarter of double-digit revenue growth and the all-time high for total revenue in any quarter ever. For x86 servers, Dell EMC has held or shared the number one position for revenue for six consecutive quarters and for units shipped for over the past two years. Dell EMC PowerEdge servers deliver an automated, secure and scalable platform, allowing businesses to balance operational efficiency and strategic initiatives. This supports organisations tasked with driving higher engagement with customers and meeting strict SLAs while adopting new workloads and meeting new business objectives. Advancements to Dell EMC PowerEdge and Dell EMC OpenManage systems management offer customers more control to manage their server infrastructure and to mitigate threats, backed by a new boost in performance and scalability. Among the new features, the introduction of OpenManage FlexSelect Manage and FlexSelect Secure provides improved flexibility for managing and securing PowerEdge systems. Launch of the FlexSelect Manage architecture offers customers new flexibility to choose among specific OpenManage Enterprise capabilities. Delivered first by an innovative power management plug-in, this reduces the number of consoles necessary to match users’ own specific needs and further streamline management efficiency. New enhancements to the Redfish-compliant Dell EMC RESTful API for control of even more server operations and devices including new flexibility to manage servers directly from an operating system in addition to a typical management network. This enables users to more easily integrate PowerEdge servers into their existing processes for a more consistent server management experience. New augmented reality on OpenManage Mobile offers customers a graphical representation of exactly where incidents occur within their environment to accurately identify target areas in their PowerEdge MX infrastructure and help speed resolution – from any mobile device. Customers can reduce time to maintain server health by 28%, through fewer steps, compared to manually retrieving server logs. Through Dell EMC and Intel close collaboration, PowerEdge servers can discover, monitor, configure and update supported Intel Optane DC persistent memory and Intel Optane DC SSDs with OpenManage agent-free management. This enables customers to save time by automating configuration of BIOS, drives and memory. Through auto-discovery, these configurations can be replicated across multiple servers without further manual intervention, freeing up IT staff from manual tasks, so they can focus on more strategic work. Scale data protection and streamline management of self-encrypting drives with new OpenManage Secure Enterprise Key Manager. This enables customers to centrally manage keys for self-encrypting drives to better secure data at both the drive and server level. New OpenManage FlexSelect Secure capability gives customers the flexibility to adapt and scale their security solutions to meet their own business requirements. For example, new security and encryption options added to the integrated Dell Remote Access Controller (iDRAC) offer flexibility to allow communications among server components and outside connectivity based on one’s own security policies. With new second Generation Intel Xeon Scalable processors, PowerEdge customers can better drive their Digital Transformations with improved performance. PowerEdge servers with these new processors offer up to a 40% increase in performance for core business applications, helping to improve organisations’ overall internal and external customer experiences. Easy BIOS tuning with workload-optimised server configuration profiles allow customers to configure optimal performance as they add new technologies or workloads. 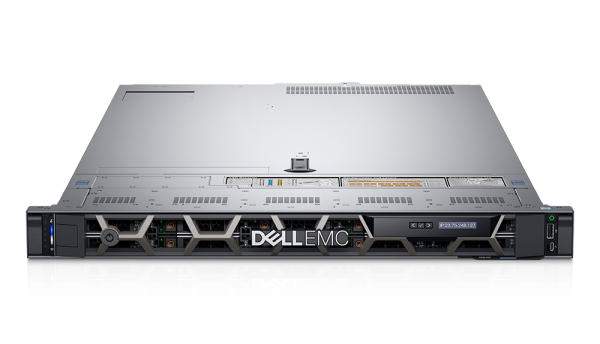 According to a new benchmark, a single Dell EMC PowerEdge R940 server with second Generation Intel Xeon Scalable processors can successfully host 69,500 simultaneous users within the SAP Sales and Distribution Standard Application Benchmark. This demonstrates up to a 60% increase in supported users from a single server compared to the PowerEdge R930 server. With new Intel Optane DC persistent memory, customers can accelerate in-memory databases, virtualisation and data analytics workloads with up to 2.5 times more memory capacity for select PowerEdge Servers. The PowerEdge R740xd enables up to 2.7 times the transactions per second with an Intel Optane DC persistent memory compared to NVMe drives in a virtualised Microsoft SQL Server 2019 preview environment with VMware ESXi. Dell EMC Ready Solutions enable customers to drive insights faster for high performance computing and Artificial Intelligence (AI) applications, and, with the new Intel Deep Learning Boost, make it easier for customers to tackle parallel use cases, such as deep learning, offering nearly three times faster inferencing performance in deep neural networks. These new features are enabled and supported by Dell EMC OpenManage systems management portfolio, which removes complexity, allowing customers to effortlessly manage their infrastructure. Additionally, the iDRAC is a foundational element of the PowerEdge portfolio that enables automation of server deployment, configuration, updates and maintenance procedures. 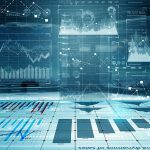 Tim Grieser, vice president, system management software, IDC Research, said: “We are seeing the IT system and service management software market growing more than 7% through 2023. 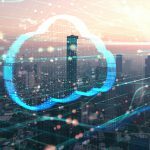 This is driven by a need to automate and manage greater efficiency across increasingly complex on-premises, private cloud, public cloud and multi-cloud environments.